The collection, processing and distribution of blood products are vital in any healthcare network. A look through the literature shows that most research has focused on the processing and distribution stages. In this talk, I will discuss the blood collection phase, specifically, how a blood service should organize sessions for collecting blood from a pool of registered donors. This is a particularly challenging problem. Besides the fact that blood services have finite resources, blood itself has a relatively high unit cost and a limited shelf-life. Hence, collection schedules need to be devised in such a way that blood is not under or over collect, resulting in either excessively low stocks or excess wastage of critical blood supplies. Blood services generally collect blood from three different types of venues: fixed sites, mobile temporary sites and mobile vehicles (i.e., bloodmobiles). Fixed sites are dedicated buildings, usually attached to hospitals, in densely populated areas. These sites are relatively uncommon, at least in the UK, due to high fixed costs. Mobile sites, both temporary and bloodmobiles, collect the majority of blood donations in the UK. They can be located for any period of time, ranging between three hours to several days, are very flexible and have variable costs. I will discuss how a blood service should cost-efficiently organise its blood collection schedule over a fixed planning horizon. An optimization based modelling approach will be presented to determine how many, how frequently, of what type and where donation sessions should be set up in order to minimize overall costs. Importantly, the modeling framework takes into account the predicted demand for each blood group, the availability of blood service staff and resources, capacity constraints, each donor’s blood group type, the minimum timing between donations, and uncertainty with regard to the likelihood of donor attendance. Initial results are promising, indicating that considerable savings can be achieved by optimizing blood donation scheduling. 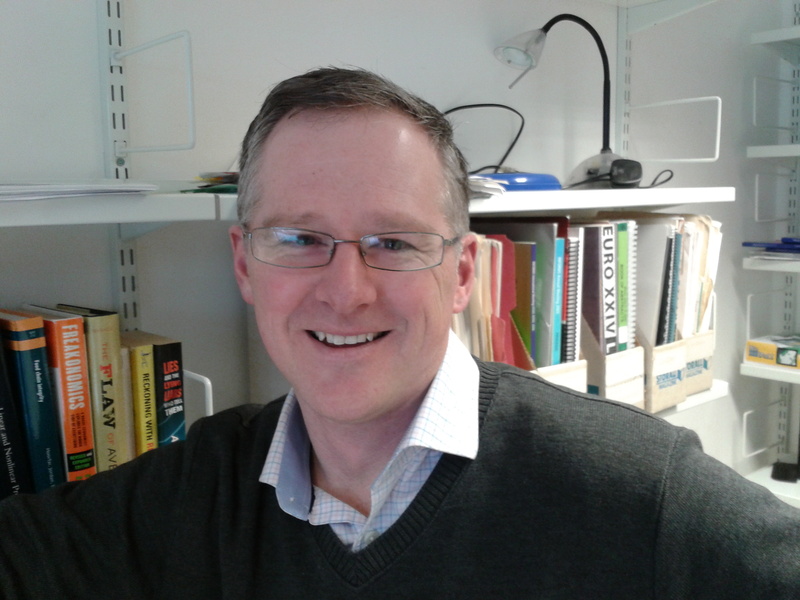 Jesse O’Hanley is a senior lecturer (associate professor) in the Kent Business School, University of Kent, UK. He obtained his Ph.D. in Environmental Science, Policy & Management from the University of California, Berkeley. He joined the Kent Business School in 2006. Prior to this, he was a postdoctoral research fellow in the Environmental Change Institute at the University of Oxford and before that a management consultant to high-tech business in Silicon Valley. His research focuses on applications of statistics, optimization and other operations research techniques to natural resource management, healthcare delivery and supply chain management. He is currently involved in a number of ongoing research projects, including prioritizing the repair/removal of river barriers that block the migration of salmon and other migratory fish (in collaboration with US Fish and Wildlife Service), the optimal scheduling of blood donation session (in collaboration with NHS Blood and Transplant), and the development of advanced modeling and solution techniques for designing robust and reliable facility networks.